Does your love of literature go beyond scholarship? Are you looking to branch out from your chosen field and learn how to write creatively? Are you an aspiring author who wants to add a practical, hands-on component to your university education? If any of the above describe you, we invite you to explore the Creative Writing program at the University of Toronto Scarborough. 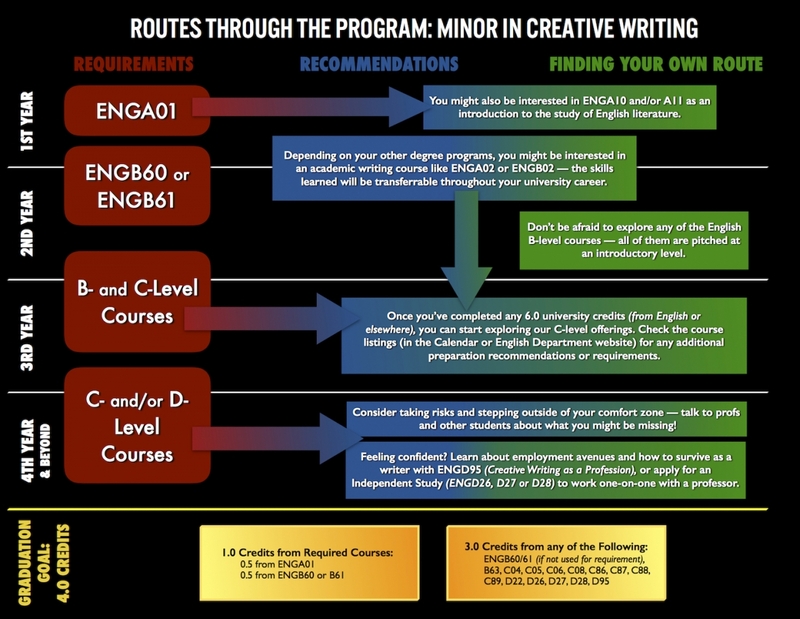 UTSC is the only campus at U of T where you can earn a Minor in Creative Writing. Our dedicated faculty are also award-winning writers who take a workshop-based, experiential approach to the study and practice of the literary arts. This means that while you learn how classic and contemporary authors pursue their craft, you also take the exciting first steps towards building your own writing practice. 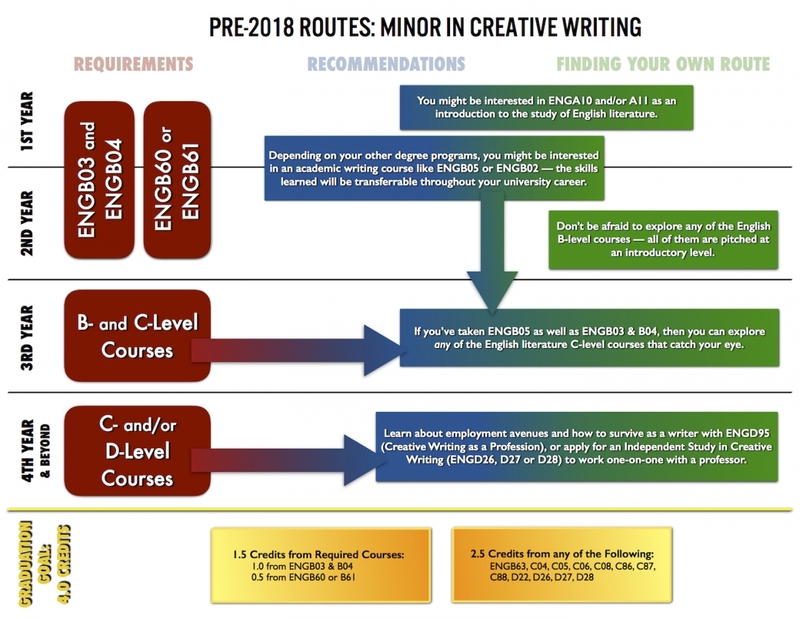 Whether you love poetry, fiction, memoir, personal essays, literary journalism, screenplays, graphic novels, comics or some wild new combination of genres, the Creative Writing program offers you the freedom to discover your unique literary voice. Beyond the classroom, you can attend regular reading events, weekly meetings of C.O.W. (the UTSC creative writing club), enter contests and get published in the UTSC arts journal Scarborough Fair. There is no better place to immerse yourself in the literary arts than Toronto, the heart of Canada's publishing industry. Join UTSC's growing community of creative writers, and learn how to make your own literary mark on the world. Note: A maximum of 1.0 credit in creative writing courses may be taken at another campus. For students who began their English program before 2018, the following requirements still apply. Please see our main Curriculum Changes page for further details about the 2018 curriculum updates. For more details on program requirements, visit the UTSC Calendar. Questions about the program should be directed to Professor Daniel Tysdal (dtysdal@utsc.utoronto.ca).